The White Desert National Park pictured above is in the geographic center of our mystery country. Except for a green ribbon of river valley, this country is all desert. The park features bizarre white chalk formations sculpted by blowing sand. 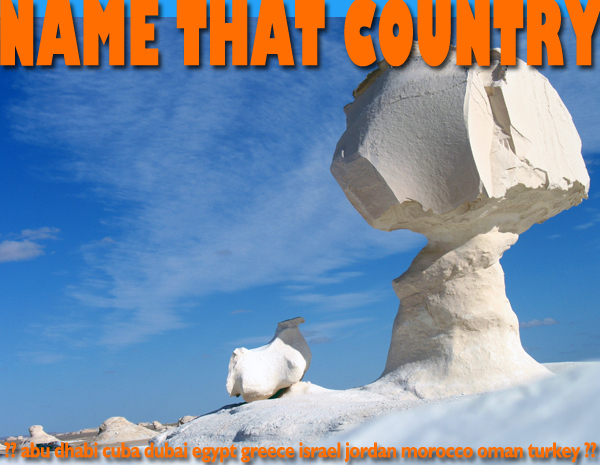 This entry was posted in Egypt, name that country quiz, Uncategorized and tagged Egypt, egypt tours, white desert by yalla2013. Bookmark the permalink.